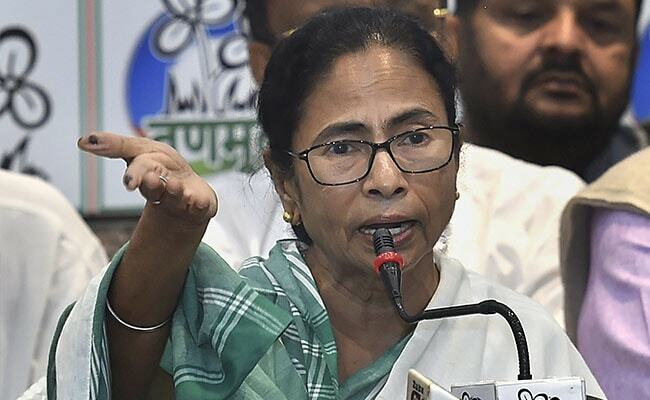 West Bengal Chief Minister Mamata Banerjee on Thursday attacked Prime Minister Narendra Modi over his biopic which was stalled after the Congress raised objections on its release ahead of the national election. Questioning PM Modi's contribution to the nation, she said people would rather watch films based on the lives of Mahatma Gandhi and BR Ambedkar. "Why will people watch your film? If people want to watch films, they will watch films on Gandhiji, Ambedkar ji, why Modi? What contribution he has made to India?" she was quoted by news agency ANI as saying. PM Modi's biopic's release date triggered a political controversy, with the Congress moving the Election Commission alleging that it glorified the PM and violated code of conduct laid down by the poll body for this month's national election. The film was scheduled to be released on April 5, barely days before the polling for the first phase of the Lok Sabha polls. The film's release has been postponed by its producers without giving any reason. "This is to confirm, our film 'PM Narendra Modi' is not releasing on 5th April. Will update soon," the film's producer Sandip Ssingh tweeted. Mamata Banerjee and PM Modi have been engaged in a verbal dual. In a rally in Siliguri, PM Modi had called her "speedbreaker" in the path of the state's development. Mamata Banerjee, he said, wanted poverty to stay so her "politics of poverty" can flourish. The Chief Minister, who had tweaked her schedule to speak after PM Modi, returned the jibe soon, as she called him "expiry babu". Ms Banerjee today said if PM Modi returned to power, he would throw away the Constitution and change the country from a democracy to a totalitarian regime. Actor Vivek Oberoi is playing the title role in PM Modi's biopic. On Wednesday, he took a jibe at the Congress, saying it was afraid of the chowkidar's danda. The Congress's comeback was equally savage as it called him a flog hero. "It is a bogus film of a flop hero, a flop producer and is made on a flop person who has proved to be a zero," party spokesperson Randeep Surjewala said.